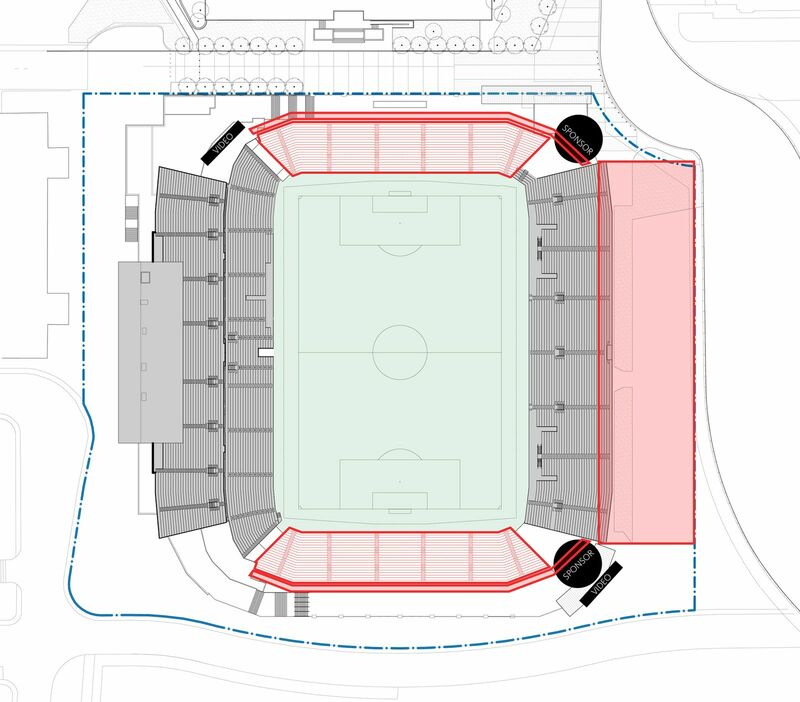 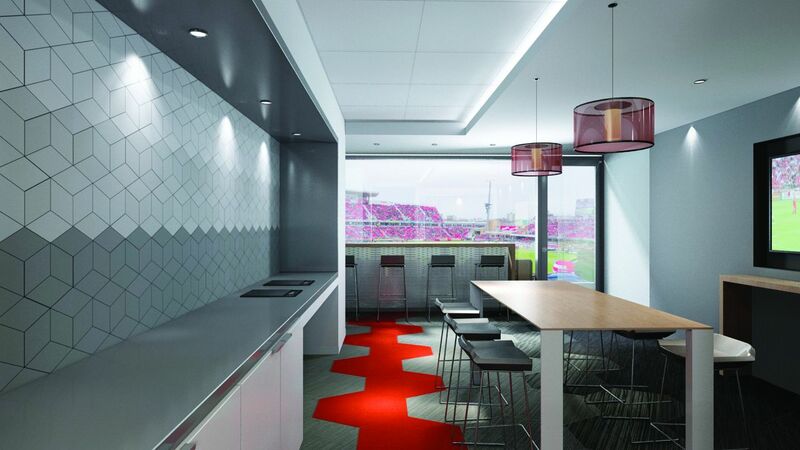 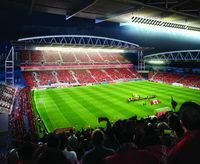 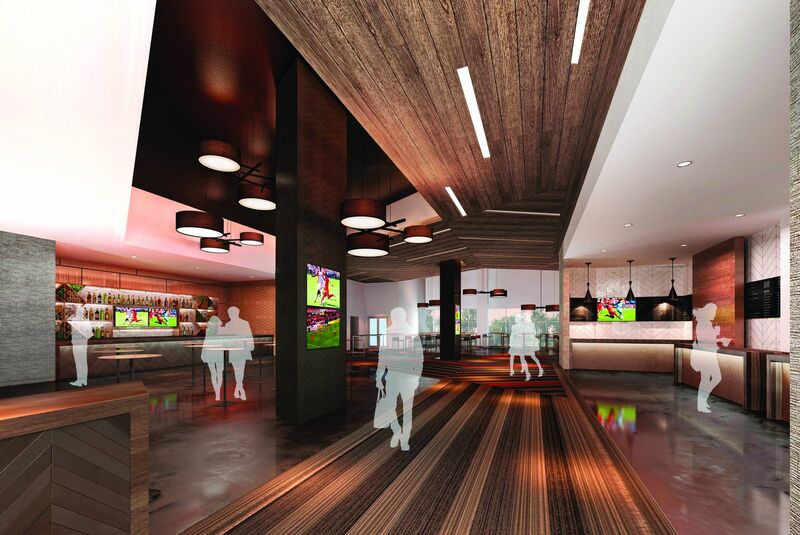 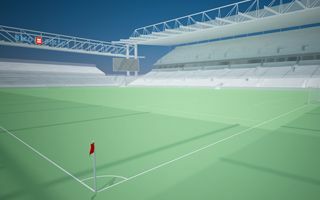 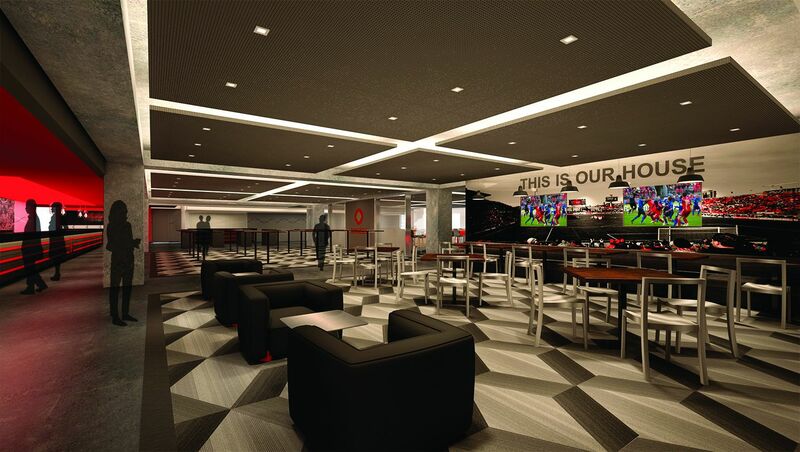 The concept introduced in late 2013 by Maple Leaf Sports and Entertainment foresees a complex transformation of BMO Field. 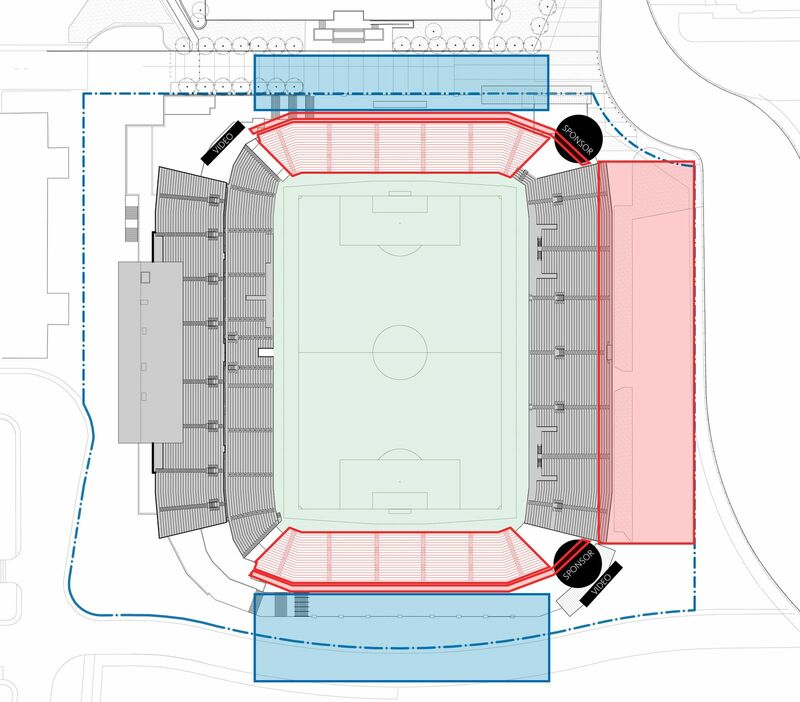 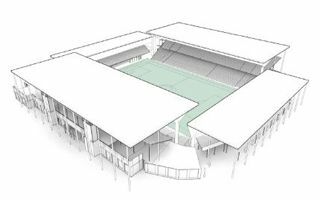 Both tiers of the west side are to be kept, similarly with the eastern, single-tiered stand. 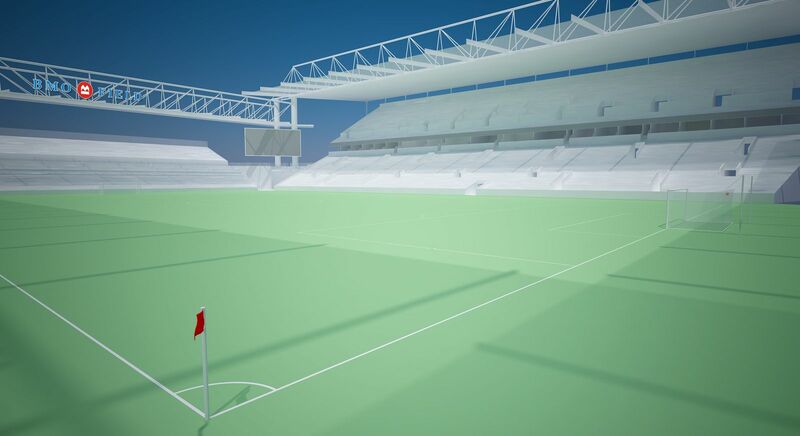 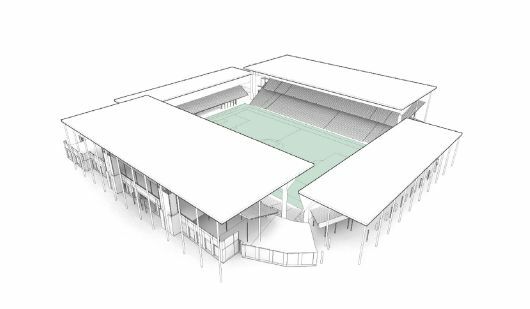 This side will also see a second balcony for fans, allowing 25,000 people to be seated along the pitch. 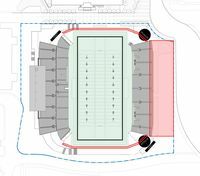 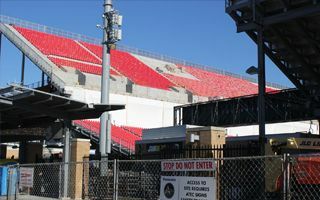 Both end stands, built in 2007 and 2010, will be removed and replaced by retractable seating. 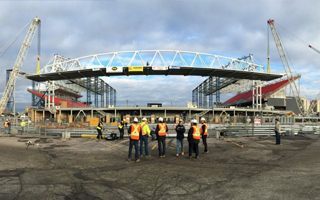 This way the stadium will provide 30,000 seats for football games of FC Toronto or Canadian national team. 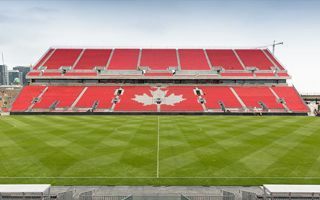 At the same time it will also allow longer pitch for Canadian/American football to be used, decreasing capacity by 5,000. 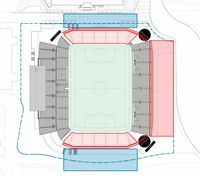 In case of excessive demand for single events, temporary second tier behind both goals can be built, setting the capacity at 40,000. 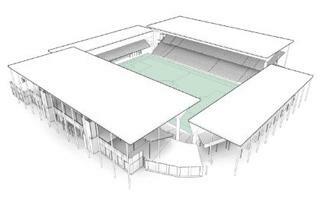 Perhaps most important in the redesign carried out by renowned practice Gensler, is the roof. 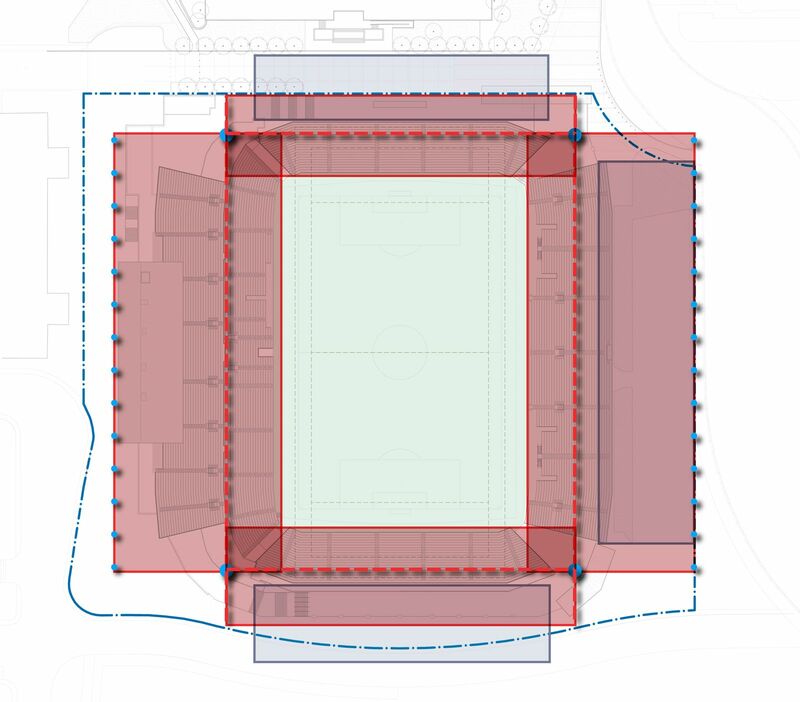 Supported by pylons in the corners, new cover for each stand will protect all seats apart from some temporary ones. 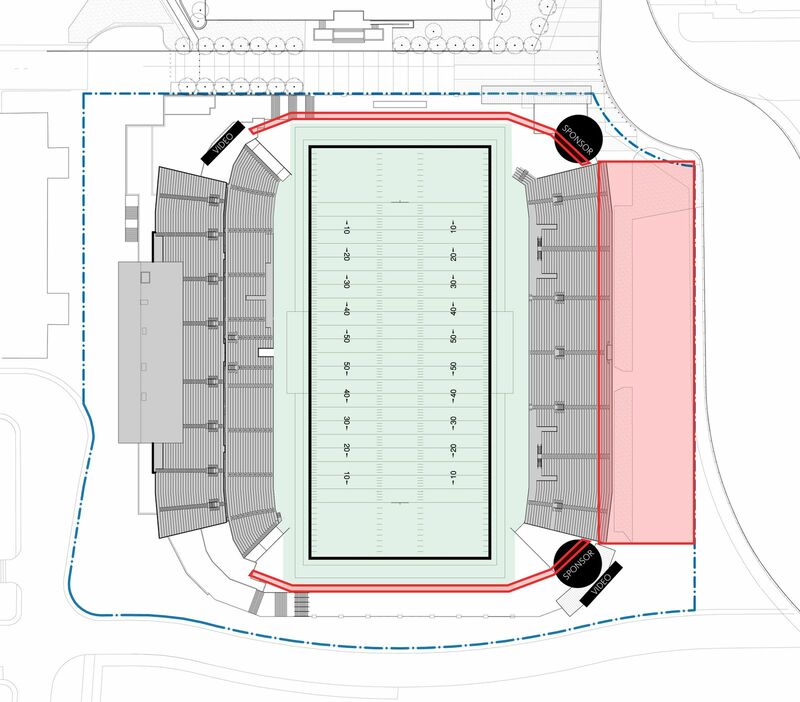 Support pylons will also accommodate two new video screens in the corners. 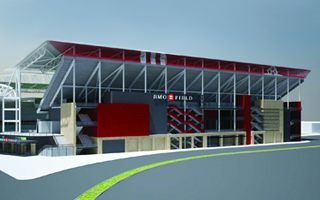 Modest ceremony today, much greater celebrations on Sunday – that’s the plan for BMO Field’s re-launch into operation. 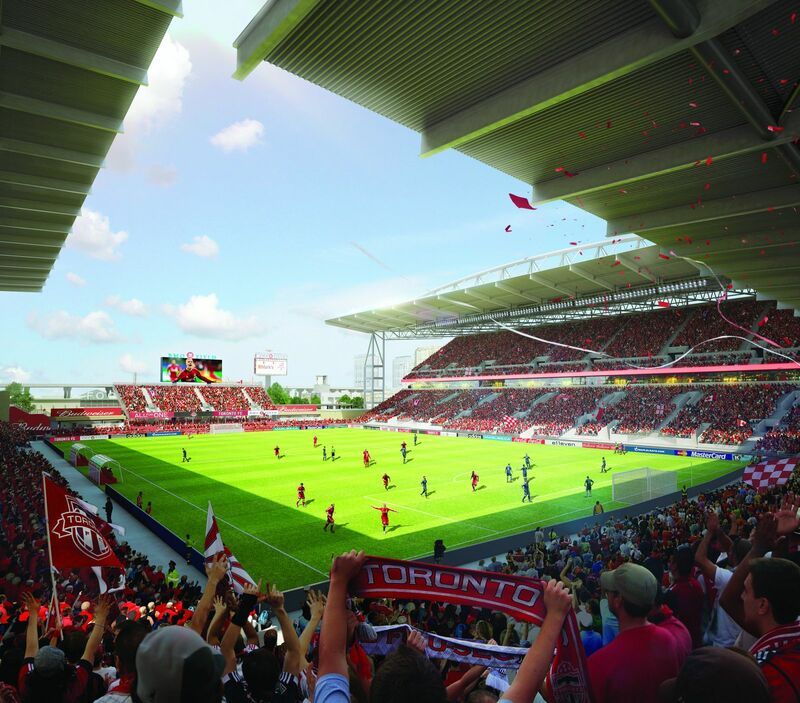 Now it’s the largest soccer-specific stadium in Canada. 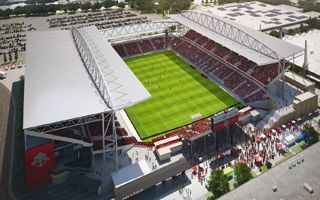 Works on the national soccer stadium of Canada are delayed and will be more expensive than anticipated. 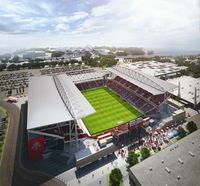 But reopening on May 10 isn’t threatened. 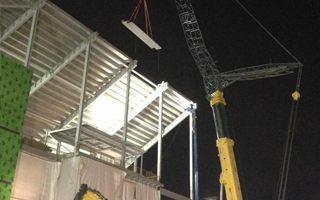 On Friday the very last precast tread of the eastern upper deck was installed. 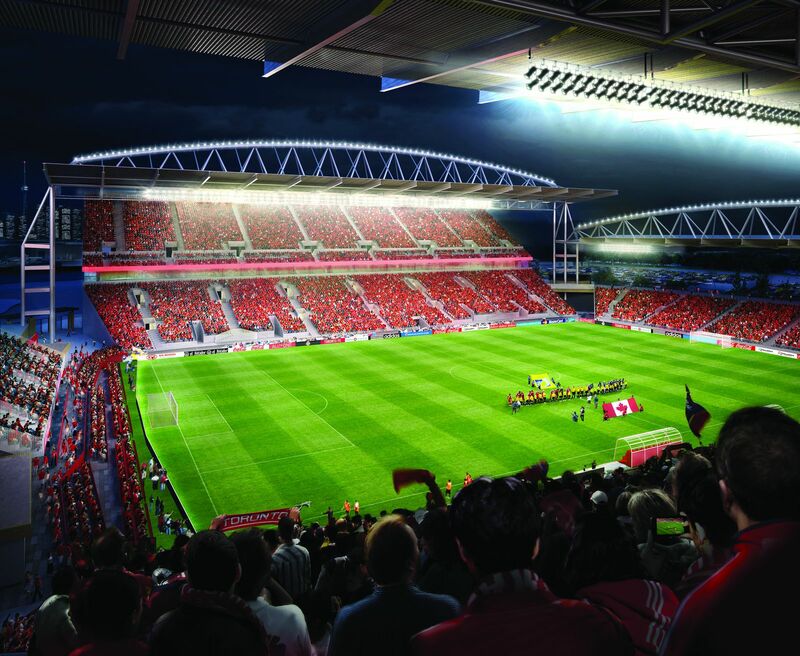 From May on the stand will open 8,400 new seats for Toronto FC supporters. 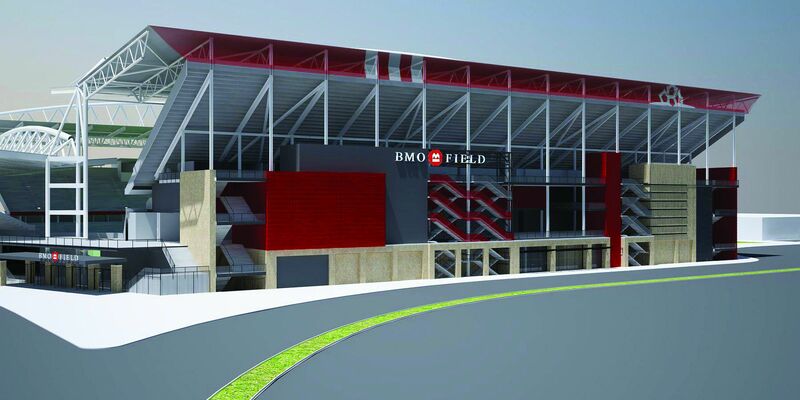 With no funding from public authorities the redevelopment of BMO Field has changed its main focus for the time being. 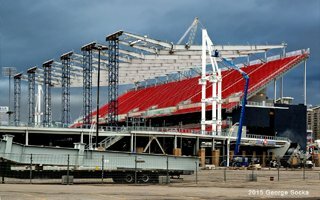 Some media claim this means Argonauts are out of the scheme, but the investor denies. 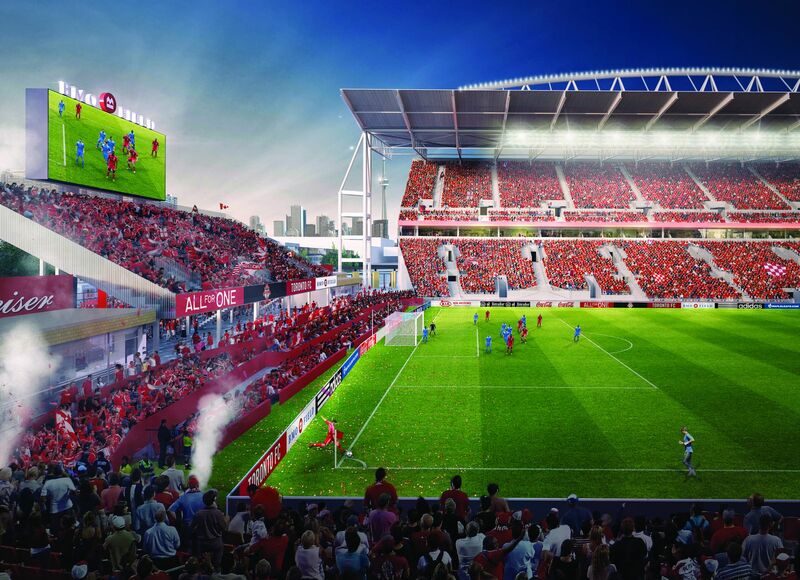 Yesterday's decision by the city council is a major step forwards and makes the secured financing increase to $100 million of the $120 million expected to expand BMO Field. 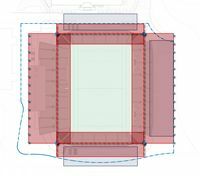 While the project is to be privately funded, 25% of required resources are expected to come from public authorities. 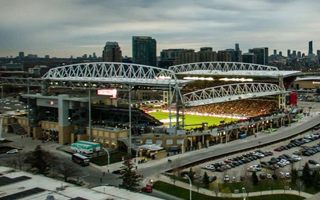 CFL side Argonauts are expected to take up a long-term lease, though remaining a secondary tenant. 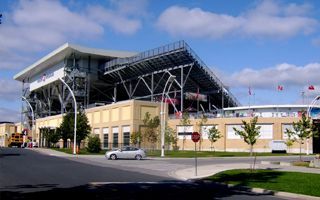 The national football stadium of Canada awaits expansion. 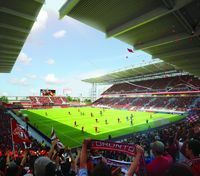 With 30,000 permanent and covered seats, it’s supposed to exceed MLS standards. For special events even 40,000 may be allowed inside.